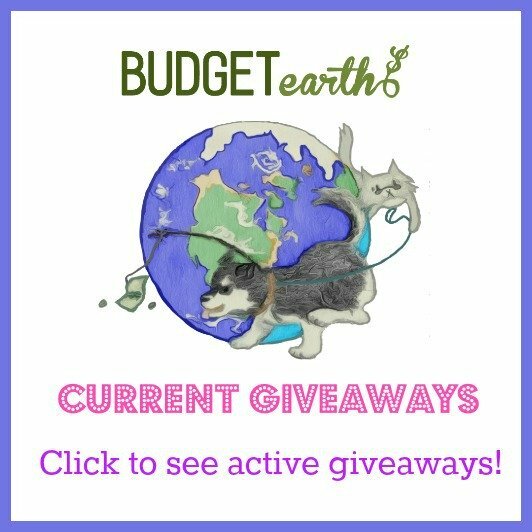 Disclosure: Budget Earth received products for free in exchange for this post. The opinions in this post, however, are honest and my own. Having a hard time finding the perfect stocking stuffers for a special guy in your life? For us ladies, it is not too uncommon to find perfume, bath products, and other little treats to make us feel special Christmas morning. Finding things for guys can sometimes be a bit tricky. I mean, they like to smell nice and relax too, right? Luckily, we found the perfect solution for guys that is the perfect stocking stuffer – Boots No7! Did you know that when you shave, you actually remove a layer of your skin, as well as your hair? While this may not seem like a huge deal, it actually strips guys’ skin of natural moisture, leaving it more likely to feel irritated and raw after shaving. 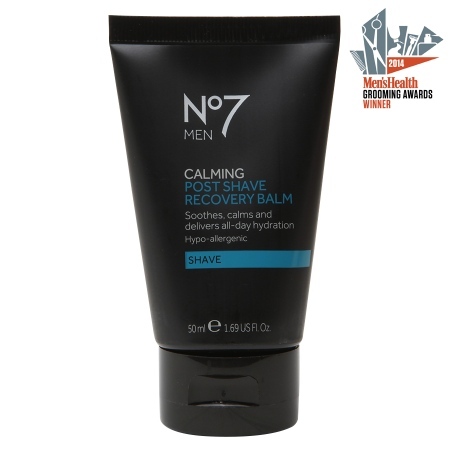 With Boots No7 Men’s Post Shave Recovery Balm this balm soothes the skin, helping it feel cool and calm after shaving. Best of all, it also provides long lasting hydration, leaving the skin feeling even softer for us ladies. Sold at Walgreens and Walgreens.com for $7.99. Did you know that men’s skin is thicker and often oilier than women’s? For this reason, many men need a special cleaner to help keep their face oil free without the use of harsh soaps. 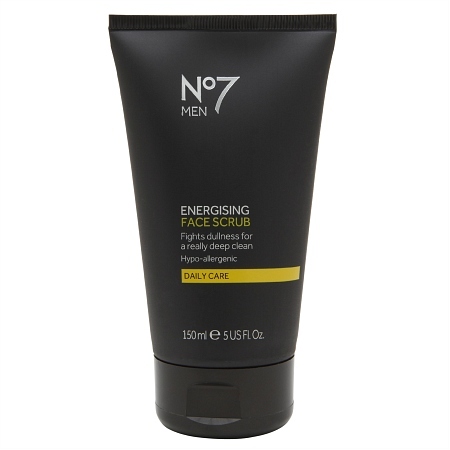 Boots No7 Men’s Energising Face Wash is a soap-free formula that not only cleans, but refreshes the skin without stripping it of all natural oils. This hydrating formula is dermatologist tested and hypoallergenic. Sold at Walgreens and Walgreens.com for $7.99. Does your guy’s face scrub do more than just remove impurities like dirt and oil? Most of the cleaners on the market aren’t great at getting rid of heavy-duty debris like dull skin cells that just sit on the surface of the skin. 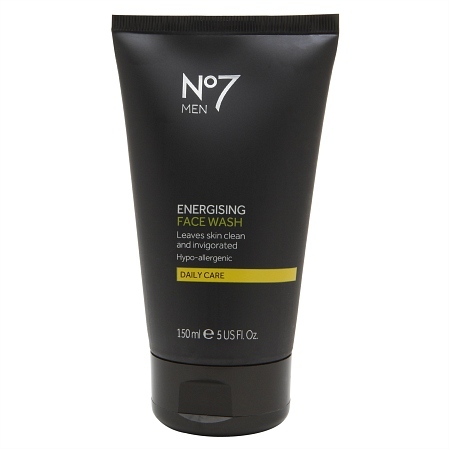 Boots No7 Men’s Energising Face Scrub invigorates the skin and gives it a deeper clean that lifts away dead skin cells and clears the pores, resulting in a fresher, smoother skin and a nice, close shave. Sold at Walgreens and Walgreens.com for $8.99. Not sure which of thes sets your favorite guy will like? If so, they will love the Boots No7 Men Hydrating Shave Kit. 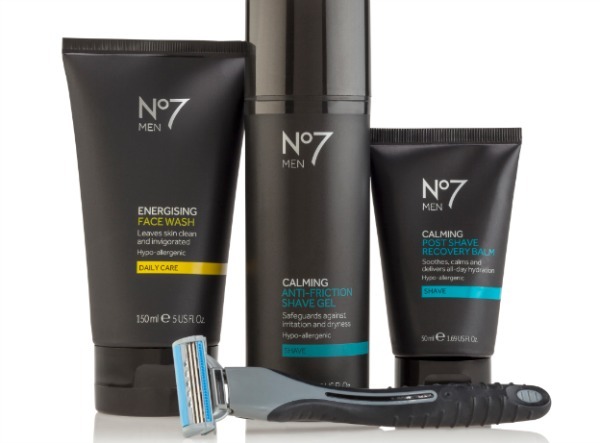 This kit includes the Boots No7 Men Anti-friction Shave Gel, Boots No7 Men Post Shave Recovery Balm, Boots No7 Men Energising Face Wash, and Exclusive Boots 3 Blade Razor. Currently, this kit is available for $20 starting in early November. Sold at Walgreens and Walgreens.com. Want to know more about these products? Check out our Boots No7 Review here! Those would make nice stocking stuffers. The price is great. This is something that men usually don’t buy for themselves, but enjoy using. These definitely would make great stocking stuffers for my husband. He currently likes the Dove line and these seem just as good. Thank you for this post! Men are the hardest people to buy for. At least my husband is! He always has been. This is a great idea, so thank you again! God bless! I have a 16 year old son who is really into using products like this now. I will definitely keep your review in mind when I am buying stocking stuffers for him this year. Great idea! This sounds great. I am sure that my husband would love them. Thank you for the review. These really do look like great stocking stuffers. I know my honey would love them! A lot of great info in this review. I always get shaving items for the men’s stockings on my Christmas list and I will be looking for Boots No 7 Men for sure this year. I love Boots No7 Men’s products. I have gifted it to my husband and since he still using these products. It makes a great x-mas gift, especially that he is so hard to shop for. Buying clothes for him is out of the question, that is one I stick with perfumes and things like this. Thanks for this article. I am always at a loss as to what to get my hubby for Christmas…he doesn’t like the standard gifts for men. However these I think he will like. Thanks for the idea!